For any pharma company, the success of a study can often depend on selecting the right country in which to conduct a trial. Clinical experience, government regulation, and an accessible patient population are just a few factors that must be considered. 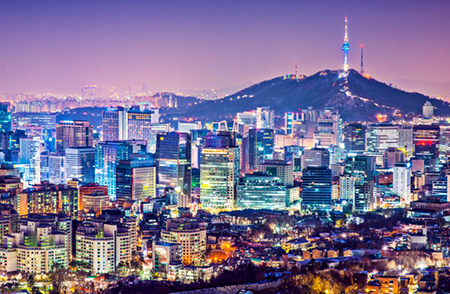 One country that has recently experienced astounding growth in this area is South Korea. The country’s mix of clinical experience, infrastructure, population density (50 million, with 25 percent concentrated in the Seoul metropolitan area), and a supportive government has boosted it into the top 10 locations worldwide to conduct a clinical study. The numbers speak volumes about the growth of clinical trials in South Korea. For the past five years, Korea has conducted more industry-sponsored drug studies than any other Asian country, and the capital city of Seoul is now the world’s top-ranked location for trials. Korea Good Clinical Practice (KGCP) was legislated by the country in 1995. In 2001, an amendment adopted International Council for Harmonization Good Clinical Practice (ICH GCP) standards. Chee states the growth of clinical trials in South Korea began to take off the following year, following the introduction of a new Clinical Trial Authorization (CTA) process. In just one year, the number of trials increased from 55 to 143. Four years later, that number hit 282. That is when the nonprofit organization funded by the Korean Ministry of Health and Welfare, KoNECT, was started to advance and promote the country’s clinical trial capabilities. By 2008, the number of trials had climbed to 400. In 2012, South Korea performed 670 clinical trials, but kept pushing for even greater improvements. Over the next four years, it would open a Global Center of Excellence, start the Korea Clinical Trial Global Initiative (KCGI), and open a KoNECT Collaboration Center. The Collaboration Center is a one-stop shop for clinical trial planning, an open community for networking and business partnering, and a place to experience all of the capabilities of the Korean clinical trial industry. It also serves as a liaison with the country’s clinical trial networks. The therapeutic areas in which Korea performs trials are quite varied. In 2016, there were 200 oncology-related trials. Between 30 and 50 trials also were conducted in the cardiovascular, endocrinologic, central nervous system (CNS), gastroenteric, and antidiabetic areas. In 2016, most top pharma companies and CROs were conducting trials in South Korea, with Quintiles, Eli Lilly, PPD, Janssen, MSD (Merck & Co.), Novartis, and PAREXEL leading the way. A readily accessible patient population is one factor giving the country a competitive advantage. As noted earlier, there is a high population density in the country. In fact, the population density is more than 15 times the average population density in the U.S. In addition to that, the country also has an aging population. With a citizen’s life expectancy at birth of 81 years, Korea has one of the most rapidly aging societies in the world. The life expectancy has increased from 76 years in 2000, and is projected to increase to 82.6 years by the year 2020. The percent of the population aged 65 and older also increased from 7 percent in 2000 to 12 percent in 2016, and is expected to hit 15 percent by 2020. 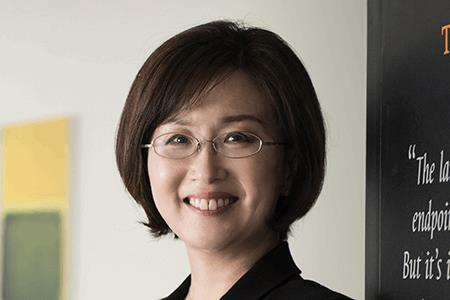 "The Korean pharmaceutical industry has been accelerating investments in open innovation and focusing on R&D for entry into overseas markets." What may make the population even more appealing to pharma companies is the fact that disease patterns in Korea are similar to those in Western countries. Korean patients also have similar unmet medical needs as patients in Western countries. Cancer is by far the leading cause of death, followed by cardiovascular disease and cerebrovascular disease. In the country’s hospitals, modern medical software is used extensively to enhance clinical trial efficiency and quality. Most hospitals have adopted electronic medical records (EMRs) and picture-archiving-and-communication systems (PACS). Major clinical trial sites are now using those EMRs to perform clinical trial feasibility assessments. “Hospitals in South Korea are also developing clinical data retrieval systems (CDRS) that enable queries of anonymous EMR data and assessments of pool sizes of eligible patients meeting specified inclusion/ exclusion criteria,” says Chee. Currently, the list of the top 10 global clinical investigator sites includes four sites in South Korea. Those four locations (Seoul National University, Asan Medical Center, Samsung Medical Center, and Yonsei University Severance) have performed 2,258 studies in the past five years. Carrying out clinical trials in other countries means having to deal with foreign — and often unfamiliar — regulatory authorities. Chee says the CTA process was put in place to foster faster study startup times, with the goal being to get trials approved 30 days from the date of submission. The Ministry of Food and Drug Safety (MFDS) then either approves the trial or issues a request for additional information. The procedure allows sponsors to simultaneously submit trial requests to IRBs (institutional review boards), ethics committees, and the MFDS, thereby reducing the time needed to get to approval. This is an attractive proposition to pharma companies that continue to struggle with study startup, still seen as one of the most costly and time-consuming delays in clinical research. According to one company performing trials in Korea, the average time to start up is 152 days, whereas the average for the other 14 countries in the top 15 is 224 days. All of these factors would not mean much if a country does not have experienced clinical trial personnel running quality studies. Looking first at experience, the number of trials conducted in Korea between 2011 and 2016 rank it number one in the Asia Pacific region, well ahead of Australia, Japan, and China. Korea also has the second lowest percentage of nonrecruiting sites at just 4.6 percent. With its success in recent years, don’t expect the growth in the Korean market to slow anytime soon. Today the Korean pharmaceutical market is estimated to be worth $19 billion annually and is expected to grow at an annual rate of 10 percent, surpassing the global average of 6 to 7 percent. Get the latest articles from Clinical Leader delivered to your inbox.